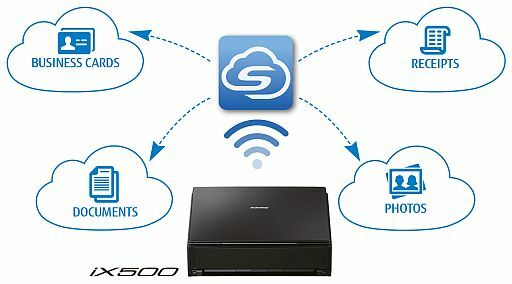 The ScanSnap iX500 provides PC and Mac users an effective way to greatly reduce paper clutter, storage space, and security risks associated with unmanaged paperwork at home or the office. 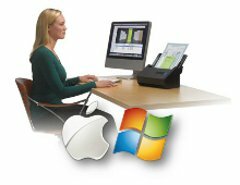 For even greater accessibility and usefulness, users can now scan wirelessly to a PC or Mac as well as iOS or Android mobile devices. ScanSnap Cloud - takes paper directly to your cloud. Achieving organization with the ScanSnap iX500 starts with the touch of a single button and ends with a host of productivity features that keep you ahead of the stack. Typically, higher quality means lower performance, but the iX500 maintains a double sided scanning speed of up to 25 pages per minute even at 300 dpi in Color! 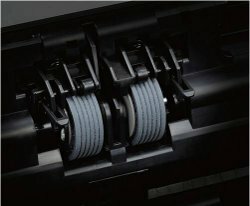 Inheriting the superior paper feeding technology of our professional-grade scanners, iX500 achieves exceptional feeding reliability using "Separation Roller" technology to minimize jams and multi-feeds. ScanSnap iX500 is equipped with an ultrasonic sensor that can be turned on to help operators avoid losing images. What's more, an interactive interface allows users to easily bypass intentional double-feed such as a taped-receipt on an expense report. 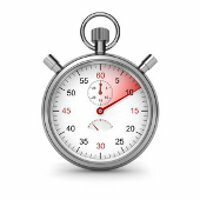 Making PDF files searchable at the point of scanning is a great way to keep them instantly accessible and now you can create a searchable PDF at nearly the same speed as a standard PDF. 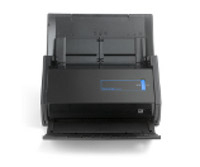 The ScanSnap iX500 works on both Mac and PC operating systems, making flexibility a breeze. Scan to Picture Folder: Store JPEG scans to a folder. Scan to Cloud: Scan to Evernote, Google Drive, Salesforce CRM, Salesforce Chatter, SugarSync, Dropbox and SharePoint® Online (for Windows®). 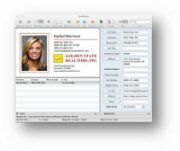 ScanSnap iX500 can quickly scan business cards, extract the content information, and place it into editable fields that can be exported to Address Book. Quickly converts PDF documents into searchable PDF's with a simple drag and drop functionality of FineReader Express. 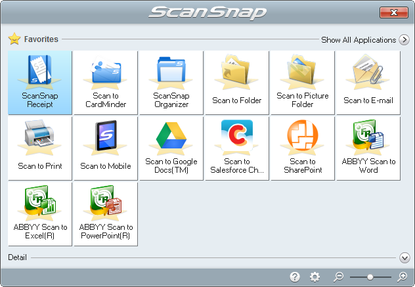 View, manage, and edit PDF and JPEG files scanned with ScanSnap on a Windows platform. 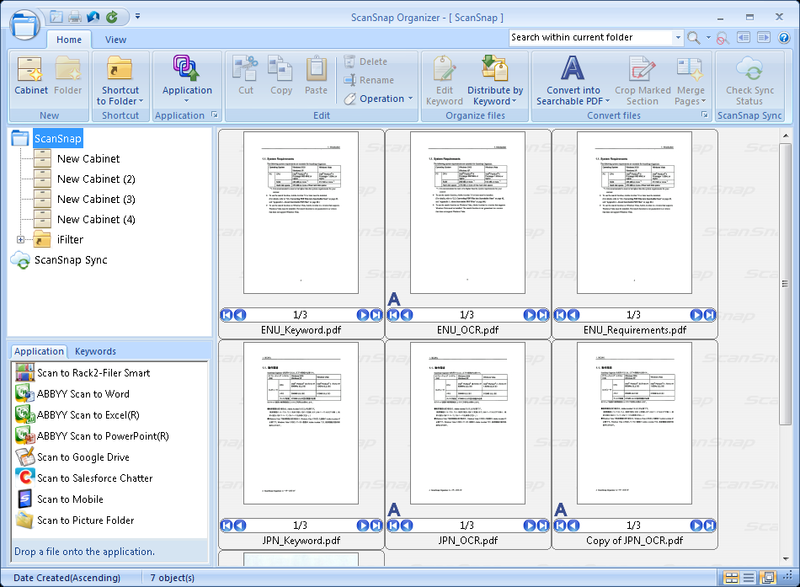 Organizer allows users to convert scanned PDF files into searchable content, embed custom keywords, attach to email or SharePoint®, and remain productive with paperwork long after it is scanned. 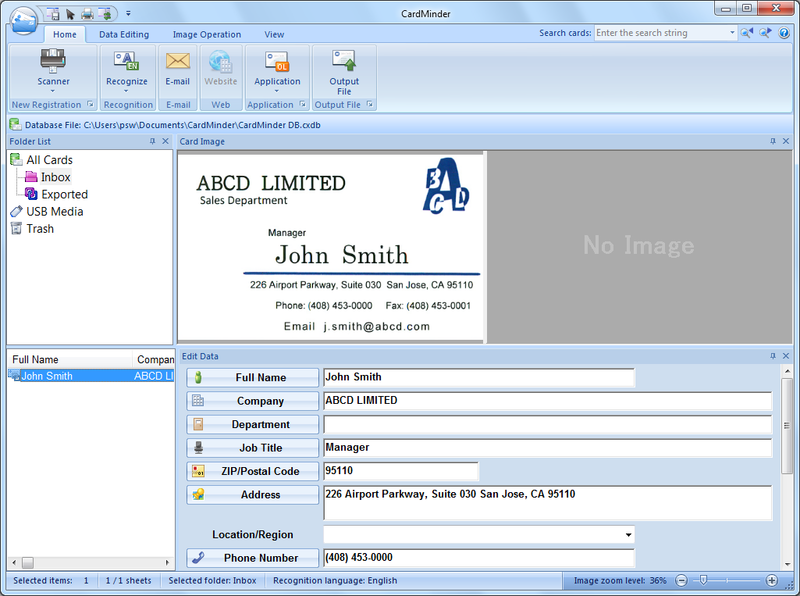 ScanSnap iX500 also quickly scans loads of business cards, extracts the contact information, and places it into editable fields that can be exported to Outlook. ScanSnap Folder converts ScanSnap into a virtual file folder providing direct scanning into virtually any application or cloud service from a PC. Scan 'outside-the-box' into virtually any application or cloud service from PC. 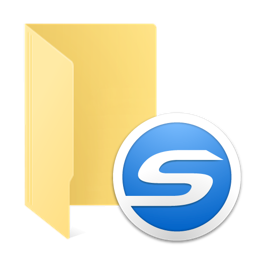 With ScanSnap Sync, whichever device you are on, you can use scanned data from either ScanSnap Organizer or the mobile app ScanSnap Connect Application. 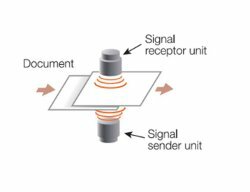 ScanSnap Sync automatically synchronizes scanned data between the two. 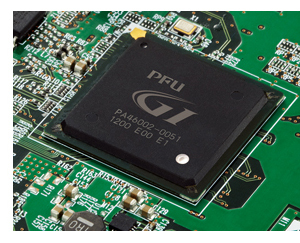 This gives you more flexibility for data management regardless of your location. 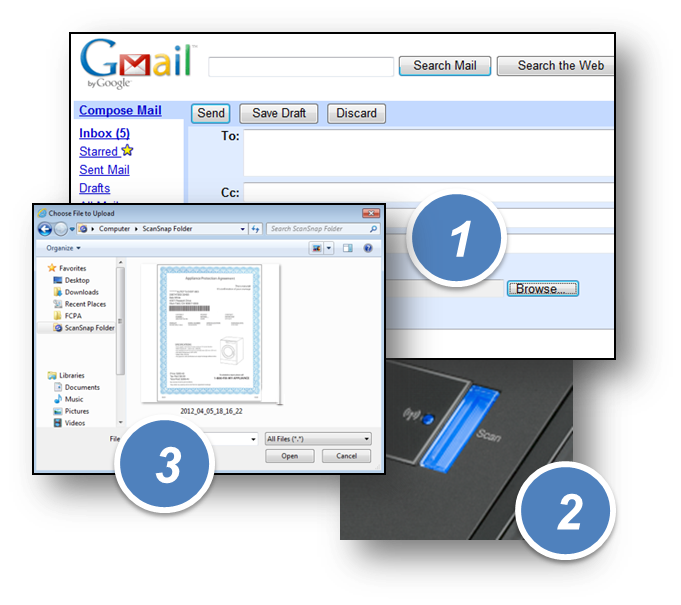 * ScanSnap Sync is realized by utilizing a third party cloud service such as Google Drive, OneDrive and Dropbox. For the latest support information of cloud services, please refer to each cloud vendor's website. 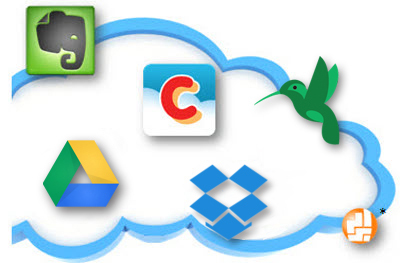 Are you a fond user of cloud services like Dropbox, Google Drive, Evernote or alike? Then ScanSnap is your instant on-ramp for documents, business cards, receipts and photos. Simply scan and ScanSnap Cloud will identify the type of content and route it to your preferred cloud service. No PC required. 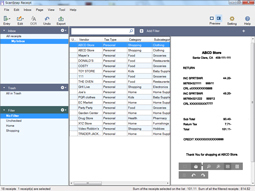 ScanSnap Receipt allows you to easily scan and extract information from your receipts, and export the data for other accounting software. 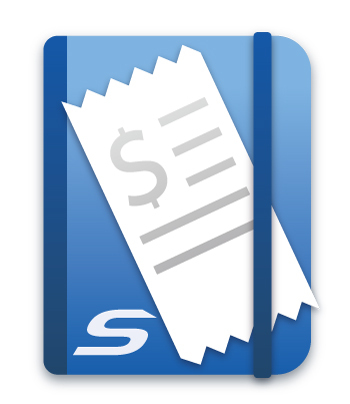 The sophisticated features within ScanSnap Receipt automatically support various languages and currencies. Document Size Normal Mode without Carrier Sheet A4, A5, A6, B5, B6, Business Card, Post Card, Letter, Legal and Custom Size. Max: 216 mm X 360 mm (8.5 in. X 14.17 in. ), Min: 50.8 mm X 50.8 mm (2 in. X 2 in.). Normal Mode with Carrier Sheet(3) Use of a Carrier Sheet permits the scanning of A3, B4, 279.4 mm X 431.8 mm (11 in. x 17 in.) and photographs as well as the document sizes listed above.